An infinite universe of pure, shiny colors to choose from. Make-up tones with total freedom and create a unique and stylish look for eyes. 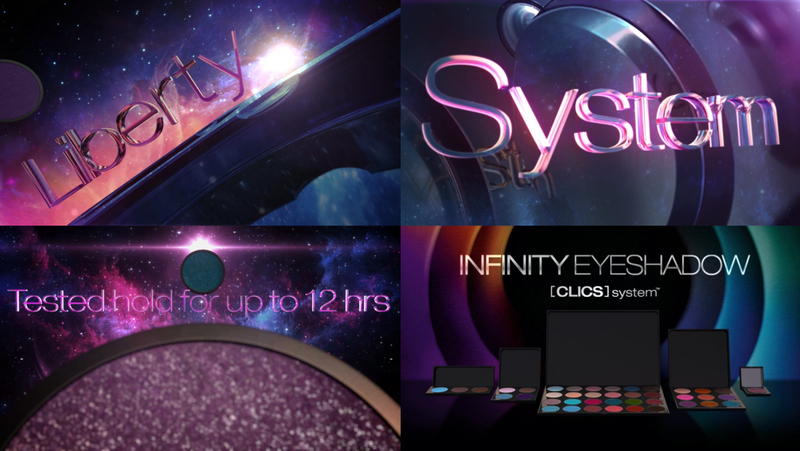 The new INFINITY and INFINITY+ repositionable eyeshadows with the [CLICS] System™ have arrived–the innovative KIKO MAKE UP MILANO solution allowing you to create your own personalized palette. Simply place eyeshadows inside the KIKO Eyes Clics empty palettes. The revolutionary high-pigmentation eyeshadow formula gives intense color release and can be used both wet and dry. The glow of pearls created by its formula illuminates and emphasizes the look. Ultra-blendable, looks last for up to 12 hours*. The video shows a world of endless possibilities: a multitude of bright, high-performance color accents and modular palettes for endless creativity.